This trip marks the first time I didn’t bring my D60. With Phoebe and all her stuff, it was just too heavy to lug the lenses and everything else that accompanies an SLR. 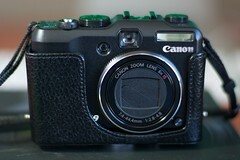 The Canon G9 made for a perfect alternative. 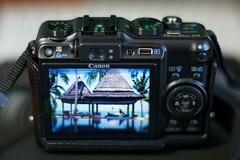 The results speak for themselves, but looks like this camera will do just fine on vacations going forward. It was just as flexible (control-wise) as the D60, but in a more compact form factor. It also has double the mega-pixels! I did miss the depth of field and clean (noise-less) photos you get with a large sensor SLR, but I’m happier with this camera than a normal point-and-shoot. The leather retro case is really what sold me!